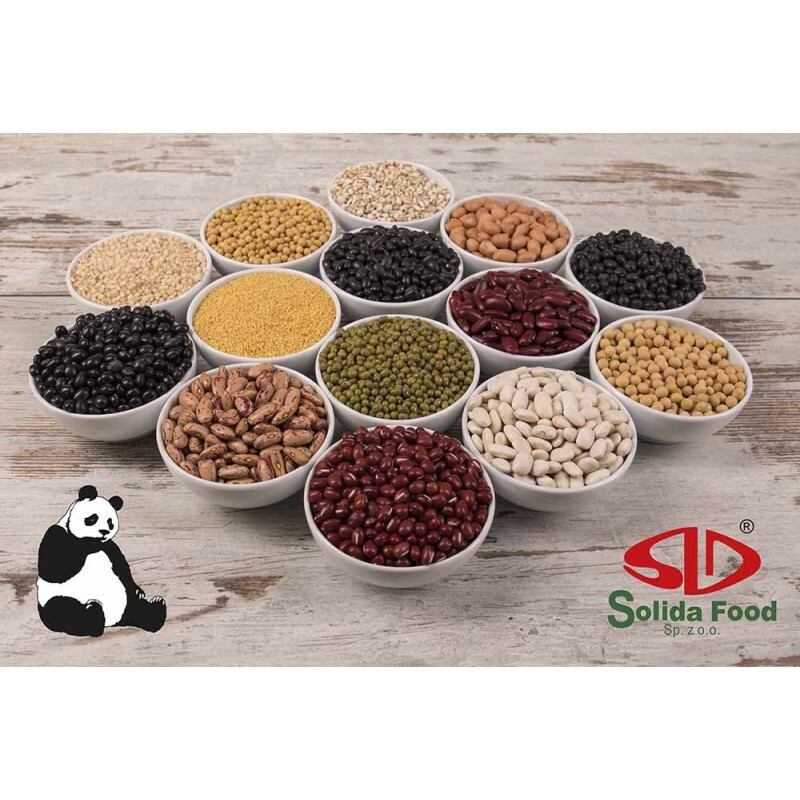 Organic Black Kidney Beans 400g - Solida Food Sp. z o.o. Black beans have a high soluble fiber content that lowers blood cholesterol. Lowering blood cholesterol levels can help to strengthen arterial walls, which in turn helps to prevent heart attacks and stroke. Dietary fiber and vegetable protein regulate the digestive process so that the process of releasing sugars into the blood is slower. It is a good source of omega-3 fatty acids that lower total cholesterol levels and increase the good. It is also an excellent source of folic acid, which is essential for the proper development of the embryo, especially the spinal cord and brain. 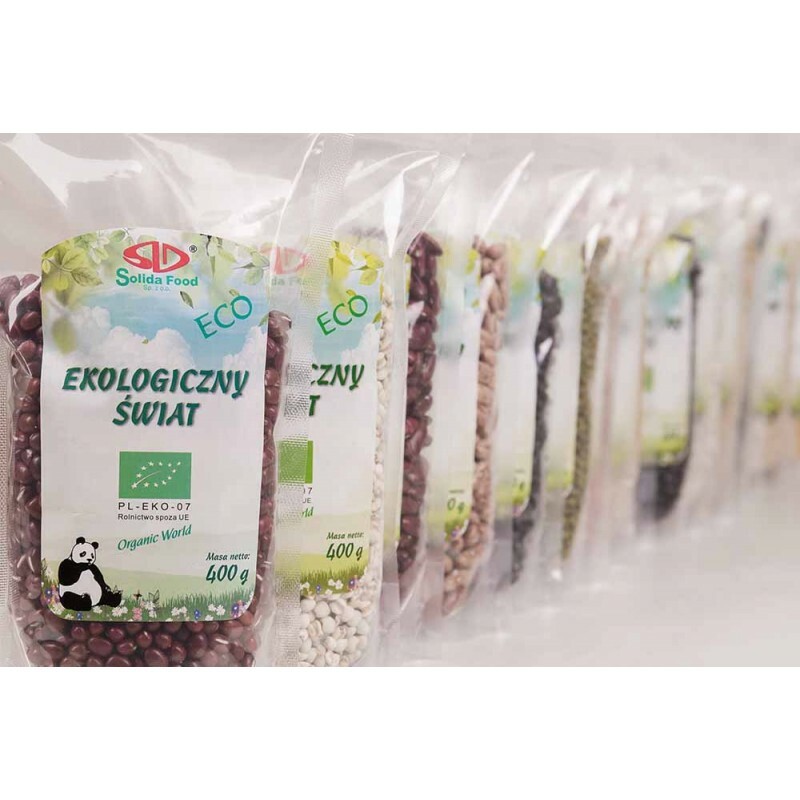 It also has an extremely high level of rare compound in the food: molybdenum, which is beneficial for the proper functioning of the nervous system. 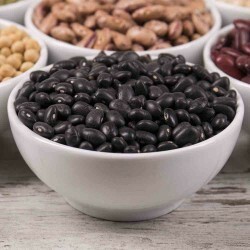 In addition, the black bean is essential for the proper assimilation of iron, and thus protects us from anemia. He cares about teeth and bones, improves immunity, participates in the cleansing of the body of toxins, and is also essential for proper growth of the young organism and has a positive effect on male fertility. Place the bean in water overnight (about 10h) before the intended intake. Ideal for dishes and soups.